An Angus woman has spoken of the moment she saw a “strange circular shape” fly over Montrose beach. 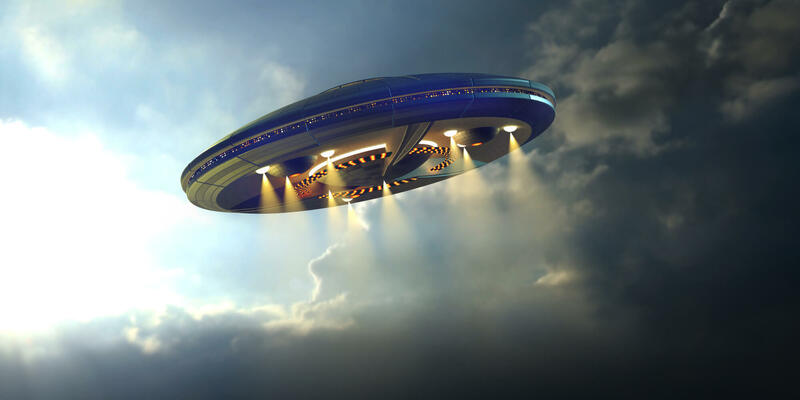 Carole Coull was at home with her husband when both noticed a peculiar object in the sky. Confused, Carole went outside to investigate where she was met by “the strangest thing” she has ever seen. The apparent UFO sighting occurred at around 10am on Friday morning. A self-confessed sceptic, Carole is aware there may well be an alternative explanation for the sighting, but remains baffled by what she saw. She revealed: “It definitely wasn’t a plane, a helicopter or a hot-air balloon, so what else could it have been? “Two of us saw it. “If it was just me then my husband would probably have said I was off my head, but he saw it too. Carole attempted to capture the object on camera, but claims her camera appeared to malfunction. She explained: “I got my camera out and tried to take a picture but every time I clicked it kept beeping and flashing – it never usually does that. “There probably is an explanation for it, but it was the strangest thing I have ever seen. “As soon as I saw it I said it looks like a flying saucer — like something out of the movies. “There was a lady here years ago who swore she saw a UFO, but we never believed it. “I don’t know what else this could have been though.